but somehow always get everything done in time. Anywho let's not talk about Christmas already we have Thanksgiving first. Have you been checking out the Thankful At Home Tour? You can start HERE. I shared why this hutch is so special. Did you see the peeks at my master? Now let's look at a few highlights from last week's party and get this party started. Most of us are thinking about our Thanksgiving tables this year and these sure are pretty napkin rings by Karen's Up On the Hill. If you want to decorate with real acorns you may want to read these tips by An Extraordinary Day. Daffodil Hill shared her daughter's pretty room that needed updating for a highschooler. And here is another pretty updated bedroom for a younger aged girl at Top This Top That. 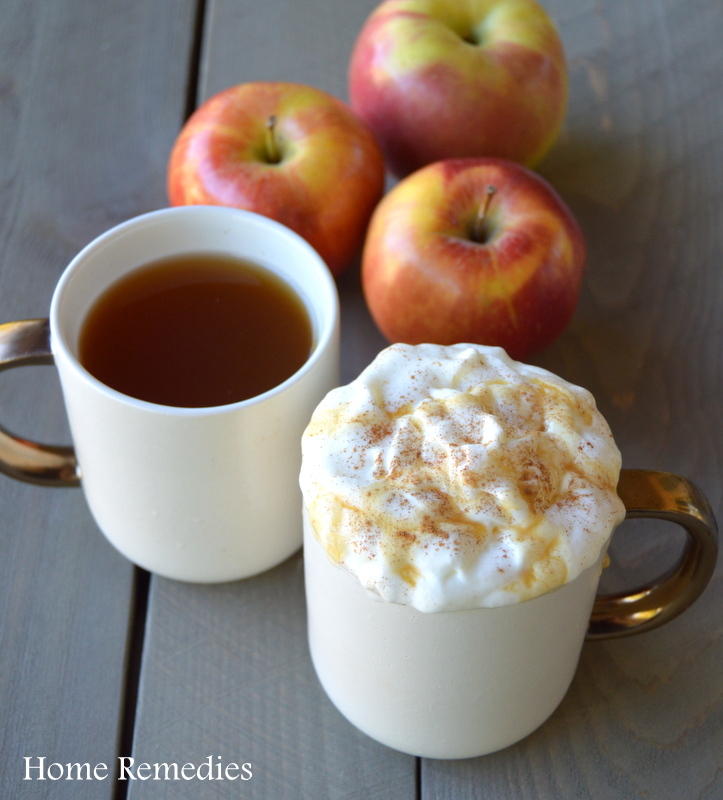 This Caramel Apple Cider by Home Remedies sure looks good for a cold day. Thanks for being here and we can't wait to see what you have to "wow us with" this week! Love those pretty bedrooms! Thanks for hosting Kim! Great features Kim! Thanks so much for hosting! Thanks for the part Kim - those bedrooms are so pretty ! Hi Kim, I'm liking what I'm seeing in your master! Thanks for hosting, always. Kim, thank you for featuring my acorn tips post. What a lovely blessing. November is good month to work at staying in the moment...but it's so hard isn't it? Thanks for hosting, Kim! Love those napkin rings. So chic. Thanks for sharing Lily's bedroom! Thank you so much For the Feature Kim! It's such a thrill to be a part of your blog! You are so gracious! BTW, I really enjoyed the post about your special Hutch. Very sweet. love your new bedding, Kim. those pillows are gorgeous! thanks for hosting! Kim super features this week. I am totally crushing on both those pink and green bedrooms...so pretty and fresh looking. Thank you so much for hosting yet another fabu party. Wishing you a wonderful week! Thanks Kim - always so much inspiration here. Beautiful features! Love the girly bedrooms. Thanks for hosting again! Thanks so much for hosting Kim! Looks like lots of great posts to read through! Kim, your new bedding looks dreamy and I can't wait to see the rest of it. Great features this week! Thank you so much for hosting. Love the transition of the little girls room to big girls room. Loved the sentiments expressed about your husbands family and your MIL. Your cabinet is a great treasure. Great features, thanks for hosting the party! Thanks for the party, Kim. I thought Thankful at Home piece was really good. I liked it. Love the features from Laura's daughter's gorgeous room to that fabulous napkin ring of Karen's...always love browsing the links here at the party!....Thanks for hosting...and looking forward to the bedroom reveal! Wonderful features. Thanks for hosting a great party! Thank you for hosting each week! This a fabulous party! Have a wonderful day! Loved the peek of your Master Bedroom Kim! Thanks for hosting ! Thanks for the opportunity to link up...love those bedrooms! Thanks so much for hosting Kim! So happy to be here! Thanks so much for hosting, Kim. So very tickled to be featured! Hope you have a great Hump Day! Thank you so much for the party. Have a nice day. Hi Kim! Thanks for hosting! Love the napkin ring feature you chose from Karen's Up On the Hill - so sweet! Thank you so much for hosting, Kim, and for the feature! I look forward to linking up each week! Hi Kim, thanks for hosting the party! Oh my I love the napkin rings you featured this week - so pretty. Beautiful rooms! Thanks for the party Kim!